With Montana coming to town Wednesday, the Creighton men's basketball team is not looking ahead to Saturday's showdown with top-ranked Gonzaga. OMAHA, Neb. (KMTV) — Before the Creighton men's basketball team can turn its attention towards top-ranked Gonzaga, which comes to Omaha on Saturday, the Jays are focused on facing Montana Wednesday night. 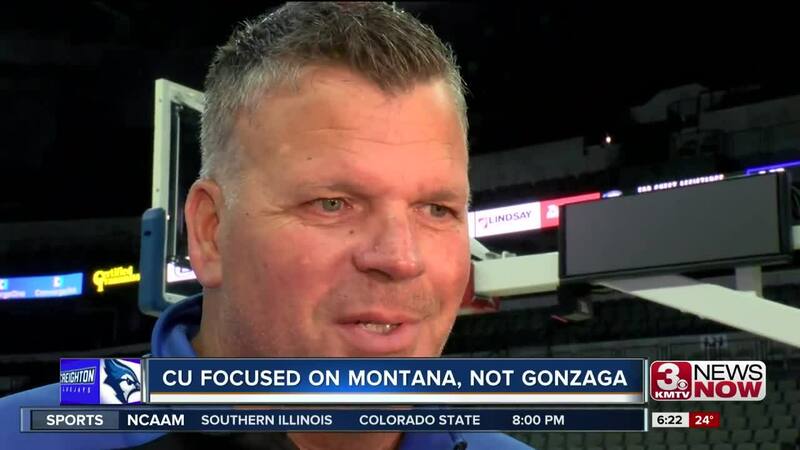 "We haven't talked one thing about Gonzaga," said CU head coach Greg McDermott. "Montana won 26 games last year, they return all five starters. So if that doesn't have our attention, we're not very smart." Wednesday's game against the Grizzlies starts at 7:30 p.m. on FS1 while Saturday's game against Gonzaga tips off at 1 p.m. on FOX.